Conserving energy helps to save money as well as the environment in many cases. Smart home heating and lighting systems from companies like Lutron Electronics and Control4 can help make sure that you get light and heat when needed but no extra energy gets wasted. Heating and air conditioner units are regulated automatically based on temperature, timing, lighting, and zones. Blinds and curtains can be pulled electronically to keep sun in or out based on your specifications. Many smart lighting systems can be turned off or dimmed automatically saving you significantly on your electric bill. And they can all be controlled from your smartphone! We all want to feel more security when we're out of the house working, running errands, or on vacation. Your money, valuable assets, and personal information is on the line. In the past we've all been limited to archaic metal locks or expensive general alarm systems that don't provide much insight. Now you can have high resolution surveillance at your door or throughout your property that you can monitor on your phone or computer. You get automatic text messages, emails, phone calls, and/or push notifications when there is an issue without having to bother your neighbors with loud alarms or have the police show up unnecessarily. With a smart home security system you can ensure that your home will be protected both inside and out. That piece of mind is invaluable. We have a great deal of entertainment devices these days including televisions, streaming services, DVD players, cable boxes, computers, radios, speakers, phones, and tablets. Wouldn't it be great to have all of these entertainment systems synced up and automated for your custom needs? Now that dream is a reality. Voice activated systems are becoming more popular than ever and could be the key to one of the biggest efficiency increases in the last decade. It's quicker than manually programming something by hand or typing something into a phone or computer, and you can do it while your hands are busy elsewhere. This frees you up to work more, spend more time with family, or just relax with less hassle. Lastly, cooking will become much more convenient and precise within your property with smart home technology. Need your coffee to start at a certain time or that stove to pre-heat to 400 degrees for dinner preparation? What about turning off burners that are left on accidentally and pose a serious safety hazard? Or maybe you'd like to have your smart refrigerator prepare a hot cup of tea for you? Just say a few words, program a few settings, or use an app on your smartphone. All of these are now options to improve your productivity and safety! 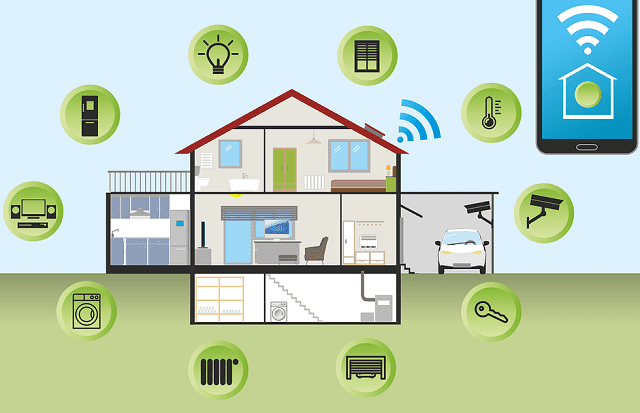 Smart home technology isn't just about being on the cutting edge of technology. It's about increasing security and efficiency while decreasing waste and expenses. It's time to start taking advantage of this new tech. I hope you enjoyed this article about ways to turn your house into a smart home to save money and increase convenience. Interested in more articles about new top technology?